Jared Golden democratic candidate for the U.S. House of Representatives from Maine's 2nd congressional district. Last year, Rep. Bruce Poliquin voted to repeal the Affordable Care Act and replace it with an inferior plan with weaker protections for those with pre-existing conditions that would have led to more than 23 million Americans losing their health insurance by 2026. The House bill that he supported would have been especially harmful to rural areas, like Maine’s 2nd Congressional District. Earlier this year, he voted for a Republican tax cut package that had minimal benefit to working-class Mainers and has ballooned the deficit, prompting Republican leaders to call for cuts to Medicare and Social Security. Poliquin is also pushing to add additional work requirements to the food stamp program. The changes would extend existing work requirements to additional SNAP recipients and require more frequent verifications of work or volunteer hours. Most recipients, however, are already working or are physically or mentally unable to. In rural areas like much of Maine’s 2nd Congressional District, SNAP recipients sometimes aren’t able to drive to the nearest job opportunity or state office to verify their employment, training or volunteer hours. As a result, these provisions, which are part of the House farm bill, would eliminate or reduce food assistance for up to 2 million Americans. These are votes and policies that are harmful to the residents of the district he represents. The district deserves a representative who better reflects its needs and values. 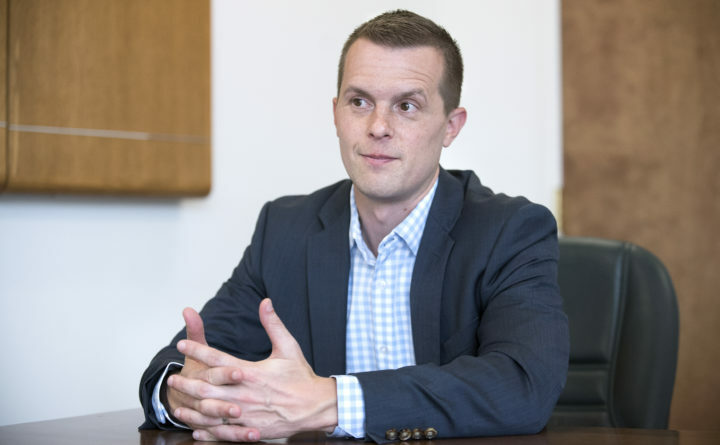 Jared Golden, a Marine Corps veteran and legislative leader, would be that representative. On health care, which voters have identified as their top concern in this election, Golden would be a vote in Congress to protect and improve the Affordable Care Act while working toward a more permanent solution to extend health insurance to more Americans while also reducing costs. He supports allowing people between the ages of 55 and 65 to buy into Medicare as a step toward universal health care. Contrary to Poliquin’s scary claims, this is not radical and it will not end Medicare coverage for senior. It would simply allow more Americans to participate in a health insurance program that works — more efficiently than most privately run insurance plans. These are reasonable, concrete steps compared with Poliquin’s promises of more consumer choices and more competition to lower prices. Poliquin, who dodges debate questions, the media and his constituents, has been a reliable vote for much of the GOP agenda in Congress, including tax cuts, ACA repeal and “welfare reform.” Golden has a record of working with both Democrats and Republicans in the Maine House to pass a diverse array of legislation. He has done this at a time when Democrats control the House, but Republicans control the Maine Senate and governor’s office. Successful bills Golden has sponsored will expand mental health care options for veterans, make it easier for returning veterans to use their military credentials to obtain state professional licenses needed for their civilian employment and direct schools to develop suicide prevention protocols. Golden is not a cookie-cutter Democrat or, as Poliquin calls him, “a radical socialist.” Having worked for Sen. Susan Collins on the Homeland Security Committee, he understands the need for border security but also the need to welcome and help asylum seekers and other immigrants. He voted against the impeachment of Gov. Paul LePage and has said he would not vote to elect Nancy Pelosi to another term as Speaker of the House if Democrats gain control of that chamber. Tiffany Bond, a lawyer, and Will Hoar, an educator, are also in the race. Both independents oppose Poliquin’s record and lean progressive, but are chiefly campaigning to get money out of politics. This is a noble goal, but they’ve gained no traction in this race, which will be decided by ranked-choice voting. Ranking them second could send a message about the need to reform our campaign finance system. Golden should be 2nd District voters’ first choice for a more thoughtful, accessible and pragmatic representative in Congress.